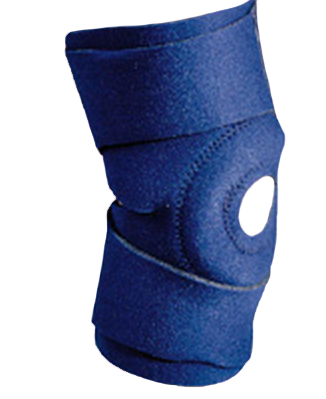 Safe-T-Sport Ez-On Neoprene Knee Sleeve, manufactured by FLA Orthopedics, can be easily applied to swollen or injured knees. Constructed of sports neoprene for therapeutic warmth with a soft terry lining. Open back design prevents bunching at back of knee, reducing irritation and increasing comfort. 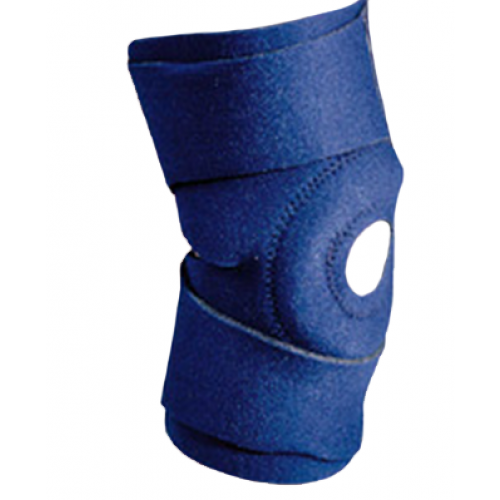 Includes a rubber patella support ring that can be removed or cut to an upper or lower horseshoe. Hook and loop straps can be applied anywhere on support. For other neoprene support garments check out the Neoprene Ankle Support for ankle stabilizing compression or for the elbow you may want to look at the Leader Neoprene Tennis Elbow Support | CardinalHealth. Neoprene with soft terry lining. Open back design eliminates bunching and irritation behind the knee.